Former Arsenal and Manchester City right-back Bacary Sagna joined the Montreal Impact on Wednesday night, as the MLS club completed a number of transfer deadline-day moves. The Impact signed Sagna, 35, through the end of the 2018 season with an option for 2019. "I'm very happy of Bacary's arrival," Impact head coach Remi Garde said in a statement. "He's a player with a great career who's still very motivated to come and help the Impact defy its end-of-season challenge. His personality, experience, and overall game will be a plus for our team." Sagna, who has earned 65 international caps for France, made over 200 appearances for Arsenal from 2007-14 before spending three years with Manchester City. He spent the start of 2018 with Italian club Benevento. 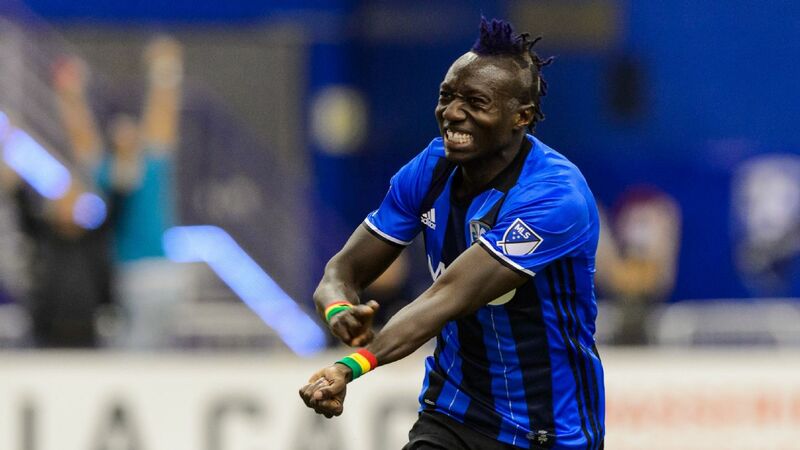 Also on Wednesday, Montreal shipped Dominic Oduro to the San Jose Earthquakes for fellow veteran forward Quincy Amarikwa, while also acquiring the rights to Micheal Azira. Oduro, who turns 33 on Monday, is scoreless in five games this season and had 15 goals and six assists in 89 games over four seasons with Montreal. He arrives at San Jose with 63 goals and 32 assists in 341 career MLS games. to his credit. "We look forward to welcoming Dominic to San Jose," Earthquakes general manager Jesse Fioranelli said in a statement. "He's a proven MLS veteran that has pace and a solid record in terms of scoring and assisting goals." Amarikwa has no goals and two assists in 14 games this season. The 30-year-old has 24 goals and 19 assists in 190 career MLS games. "Quincy is an energetic striker with a lot of experience within MLS," Impact technical director Adam Braz said in a statement. "He will be another experienced player who will add depth to our forward line." The Impact weren't done there, also announcing the acquisition of Ugandan midfielder Azira from the Colorado Rapids in exchange for a fourth-round pick in the 2020 MLS SuperDraft. Because Azira holds an American green card, he will not count as an international player on Montreal's roster. Azira, 30, was scoreless with one shot in five games (three starts) for Colorado this year, but he started 56 games for the Rapids from 2016-17, tallying three assists and 26 shots. He is still looking for his first goal in 91 games (73 starts) across five MLS seasons, including his time with the Seattle Sounders in 2014 and 2015.